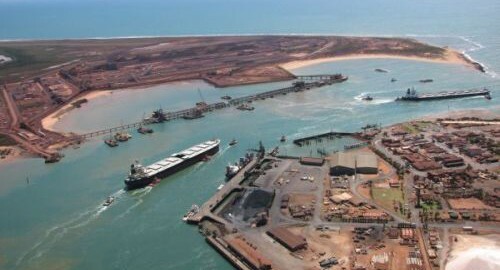 The company also cleared ships from its Cape Lambert and Dampier ports in preparation for the storm. Cyclone Veronica, which hit the coast as a category three storm and has now weakened to category two, is passing down the northwest coast between Karratha and Port Hedland. Fortescue Metals Group and BHP have also cleared ships in response to Cyclone Veronica, while the latter halted its offshore operations at the Pyrenees. 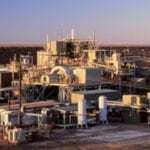 Altura Mining also announced this morning that it had ceased production on Saturday and was maintaining a skeleton staff of 23 people at its lithium mine in the region for the time being. The company added that it did not expect its plant to be damaged by the cyclone. Rio said in a statement that it was working with the Department of Fire and Emergency Services (DFES) and local emergency services to “ensure our workforce and their families remain safe”. “We are focused on ensuring our employees, their families and the broader community are safe,” a spokesperson said. Rio Tinto operations have been impacted by cyclones on both sides of the country. 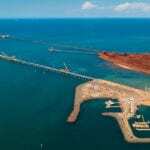 The company halted work at the Weipa mine in Far North Queensland in response to Cyclone Trevor, which crossed the northern coast near the border between the NT and Queensland as a category four cyclone before weakening to a tropical low early Sunday morning. 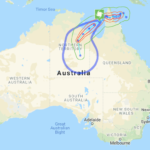 In northern Australia, Cyclone Trevor crossed the coast near the border between the Northern Territory and Queensland as a category four cyclone before weakening to a tropical low early Sunday morning. 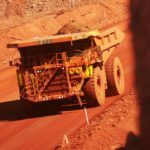 In preparation, Glencore last week suspended its operations at the McArthur River zinc mine and Bing Bong loading facility. A Glencore spokesperson told Reuters that other aspects of the business would operate as normal. The Northern Territory Government announced that disaster assistance for the towns of Borroloola, Groote Eylandt and Numbulwar would be provided due to the storm’s impact.